Weekends, come out to play-i-ay. 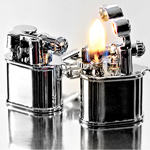 Your Perks: 1) A pair of cufflinks... that also happen to be functioning lighters. Offering a light will never be the same. 2) Handsome Moscow Mule mugs made from 100% copper—so they’ll last forever. 3) 59% off gallery-worthy canvases from Banksy. Maybe you’ve heard of him. Your post-Dodgers-game dinners will be a bit different this season. Instead of searching Sunset for tacos, you’re heading straight to Night+Market’s bright-pink new Silver Lake branch. 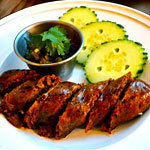 They’ll have things like pork larb, Thai sausages and fried pig tails. Three of the few acceptable taco substitutes. In between all the spurting blood and shots of Uma Thurman’s feet, you may have noticed that Quentin Tarantino has a way with soundtracks. 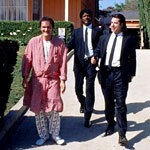 Well, tonight, For the Record will pay musical tribute to the director’s movies at their new home inside DBA. No word on if the milkshakes will be $5. Basements. Best known for spiders, junk and boogeymen. Unless you’re talking about the one at Saks. That’s now a shiny space full of jeans by the likes of Diesel, Nudie and Rag & Bone. Plus a cocktail bar, barbershop and pool table. So just the bare essentials. 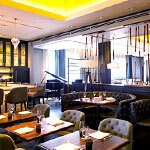 Michael Mina just opened Bourbon Steak at Glendale’s Americana at Brand. So we could tell you all about his duck spring rolls, tableside cocktail cart and wood-fired Wagyu strip loins. But it’s really more of a “you have to be there” situation. The art world calls him a groundbreaking legend in found-object art. 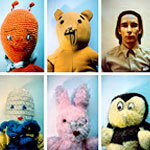 But you know Mike Kelley as the guy who does the thing with the stuffed animals and the Sonic Youth album covers. Either way, massive Mike Kelley retrospective starting Monday at MOCA. Gentlemen, start your art dates.